Please note that we are now using Stripe, rather than PayPal, as our online payment provider. Stripe will not ask you to login and you can pay using a credit or debit card. Clear out the garage and attic of things you no longer need and turn them into cash while at the same time supporting a local charity. 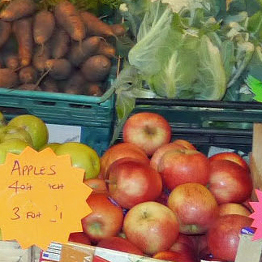 Farmers Market helps make fresh local produce more easily available to people in the area. 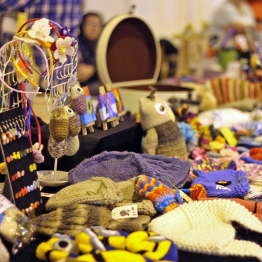 The Craft Fair provides an excellent outlet for crafters to sell their handmade or homemade locally produced goods. Visit our Venue Options page to find out which venue is the best for you. "Events like this generate a buzz in the Borough, creating a unique sense of community and making it a welcoming, attractive place for shoppers to visit." "We are not only hoping to attract people to the town but to also support our local producers as well as the local economy and all for a worthy cause." 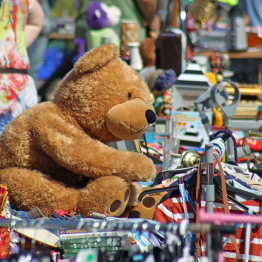 "Many local families are struggling financially and the Car Boot Sale provides an easy opportunity to generate some much needed cash from all the stuff in the attic or garage..."
"...this in turn saves other local families money as they have the option to buy pre-loved items for a fraction of their original cost." "Local produce is good for the environment, reducing food miles which is the distance travelled from farm to fork, saving energy and cutting pollution not to mention keeping money circulating in the local economy." To provide people with practical and emotional support at their point of need while empowering them to tackle the underlying root causes.